ENG: Hi my dear readers! Christmas is coming! We have just one month for find best gifts for our close friend and family. 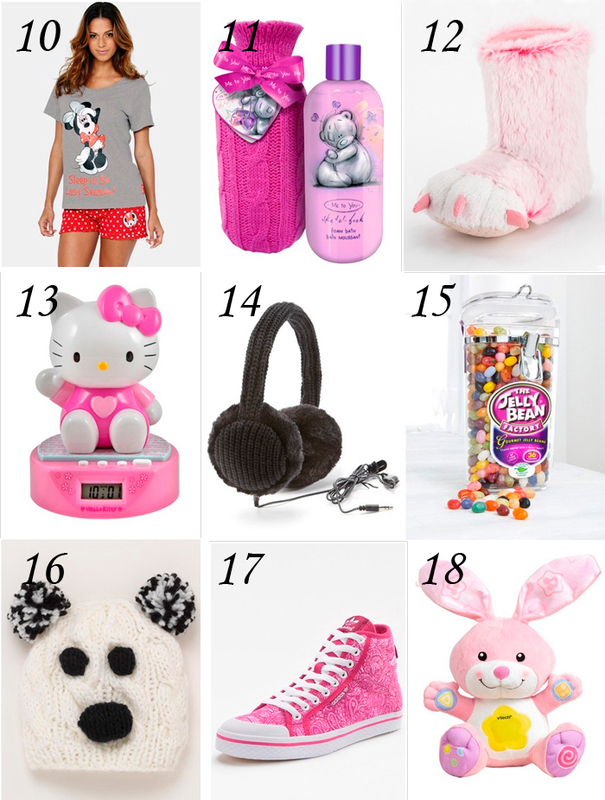 I’ve searched a bit and find some ideas for you (sort of sentimental Christmas gifts)! I hope it’ll be helpful. Small note: gifts just for girls, sorry guys! Well, let’s start! The closest person in this world is mom. What we have: classic things with interesting details (for example, simple colorful bag or beautiful scarf). RU: Здравствуйте, мои дорогие читатели! До Нового года осталось немного больше месяца – пора подумать про подарки! Специально для вас я сделала подборку, которая, надеюсь, поможет вас выбрать самое лучшее и порадовать близких людей (симпатичные милые вещички). Небольшая заметка: презенты только для прекрасной половины человечества, для парней – в другой раз! Итак, начнем! Самый близкий человек в мире – это мама. Что мы имеем: классическая вещь с интересной изюминкой (например, сумка классической формы лазурного цвета или красивый шарф). İlk olarak size dünyada en yakın kişi, şüphesizki annenizdir. Onun için alabileceğiniz renkli bir çanta veya atkı annenizi çok mutlu edecektir. 1. Savoir Supersoft Tunic. 2. Courtney Envelope Clutch Bag.3. Sorbet Fleece Mule Slipper Mink. 4. Wrap. 5. South Supersoft Scoop Neck Jumper. 6. Patent Clutch Bag. 7. Slouchy Twist Lock Shoulder Bag. 8. Sunkissed Bronzing Gift Set. 9. Sorbet Satin Kimono. ENG: Do you have a younger sister? You should make happy her also. I don’t know, what is her age (5, 10 or maybe 15), but she’ll be extremely glad to get some of gifts from my set. RU: У вас есть младшая сестра? Не забудьте про нее тоже! Если ей от 5 до 15, она непременно обрадуется одному из подарков, представленных ниже. TR: Eğer küçük kardeşiniz var ise, onun içinde hazırladığım hediye listesinden bir ürün seçebilirsiniz. 10. Disney Minnie Mouse Short Pyjamas Set. 11. Me To You Me To You Tatty's Bubbles.12. Sorbet Novelty Slipper Claw Boots. 13. Hello Kitty Musical Alarm Clock. 14. Kitsound Earmuff Headphones. 15. The Jelly Bean Factory 700g Jar. 16. Knitted Panda Hat. 17. adidas Originals Honey Mid Plimsolls. 18. VTech Day and Night Cuddle Bunny. ENG: Don’t forget about lovely granny! I think don’t need to say about classy things, you know it better than me) But, even your dear grandmother is wearing cozy things, she’s still a lady. RU: А как же любимая бабушка? Я думаю, вас не нужно рассказывать опять про классику) Просто не забывайте о том, что она тоже леди, даже если предпочитает носить исключительно удобную одежду и пуховые платочки. TR: Anneannenizi sakın unutmayın. Onun içinde klasik bir hediye seçebilirsiniz. Ne kadar klasik giyerse giysin ona hala güzel bir bayan olduğunu hatırlatacak bir hediye seçebilirsiniz. 19. Felt Cloche Hat. 20. Lipsy LIPSY EVENING BOX BAG/CLUTCH. 21. Rocket Dog Ramble Flat Pumps. 22. South Metallic Longline Cardigan. 23. Ladies Fleece Scarf and Glove Set. 24. Sorbet Fur Trim Ballerina Slipper Grey. 25. Chic Boutique Notebook and Pen. 26. Sorbet Wellsoft Ladies Long Robe. 27. Grace Patent Structured Clutch Bag. ENG: We’ve finished with relatives, time to make smile your best girlfriend! What could she wish for? Is it sparkling club skirt? Or is it collection of glamorous nail polishes? There are many things which she may like in my set! RU: С родственниками мы закончили, перейдем к друзьям. У вас есть лучшая подруга? Что бы она хотела увидеть под елочкой? Мини-юбка в паетках? Или может коллекцию лаков для ногтей? В моем сете вы найдете много симпатичных подарков для нее. TR: Eğer ailemize hediye alma faslını bitirdiysek, sırada şüphesiz en iyi kız arkadaşımız olmalı. Onu gülümsetebilmek için ne almamız gerektiğini, gene en iyi siz bilebilirsiniz. Parlak renkli bir etek veya rengarenk ojeler. Onu en iyi siz tanırsınız. 28. Michele Glitter Twist Lock Clutch Bag. 29. Glamorous Printed Bodycon Skirt. 30. Spike Statement Necklace. 31. Love Label Sequin Mini Skirt. 32. Famous Nail Polish Gift Set - Night Colours. 33. Hot Chocolate Selection. 34. Me To You Foundation Brush. 35. Spiral Choker. 36. South Cable Front Jumper. ENG: So, at last, the last one, the most important! Do you have any guess who it can be? Of course, I’m talking about myself! Never forget to make happy yourself! Maybe burgundy bag or leather pants? Can it be some trendy clothes? Anyway, you deserve it! Be happy and make happy your beloved girls! RU: И наконец, самый важный человек в этом списке! Как вы думаете, кто это? Конечно же, я говорю о себе, любимой! Порадуйте себя трендовым клатчем или кожаными штанишками. Вы заслужили! Будьте счастливы и радуйте своих любимых как можно чаще! TR: En son ve en önemli insanı şımartmayı sakın ama sakın ututmayın. Bu insan sizce kim olabilir? Tabiki kendiniz. Kendinize hediye alıp, mutlu etmeyi asla unutmayın. Bordo bir çanta veya pantolon bence güzel bir hediye olabilir. Sonucta siz bunu hakettiniz. Mutlu edin ve mutlu kalın. 37. South Lightweight Slash Neck Jumper. 38. Clarks Mirror Image Crossbody Bag. 39. Love Label Printed Pencil Skirt. 40. BaByliss 1200-watt Nano Straightener. 41. South PU Trim Jumper. 42. Mock Croc Satchel Cross Body Clutch. 43. Voi Jeans Sorrow Wedge Trainers. 44. Drop Fan Collar Necklace. 45. South PU Ankle Grazer Skinny Jeans. Looovely items, very useful post! Love specially nail polish! Love this kind of posts, great ideas!! I want number 31, but not for a present... for me.... ;) kisses!! These are lovely selections. Oh my, I have to start my Christmas shopping soon! Great ideas, Would love to receiving any of these things! Супер подборка! Глаза разбегаются! Такая огромнейшая работа проделана для создания данного сета! Спасибо! Such great ideas! My mom is just like me; she just loooooves bags! I guess I'll offer her a clutch for Xmas! I see a lot of gorgeous suggestions here! Love this post!! So many fabulous ideas and all are reasonable and accessible. Love the sequin clutch and gold necklace most! Натолкнули на мысли... до этого я и не задумывалась, что скоро придется ломать голову надо подарками..
Great suggestions, love the clutch with no 42! Omg I want all the sets...super nice. Great selection! Happy gift shopping, dear! 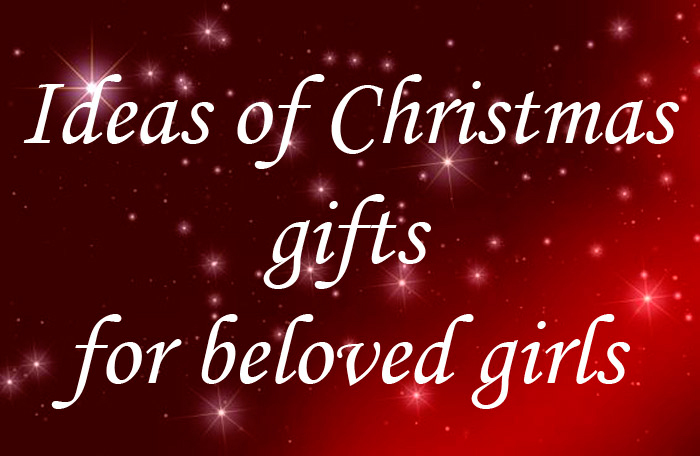 Great gift suggestions for others or a cheeky gift for yourself! Хорошая подборка, уже как раз пора готовится к Новому году. 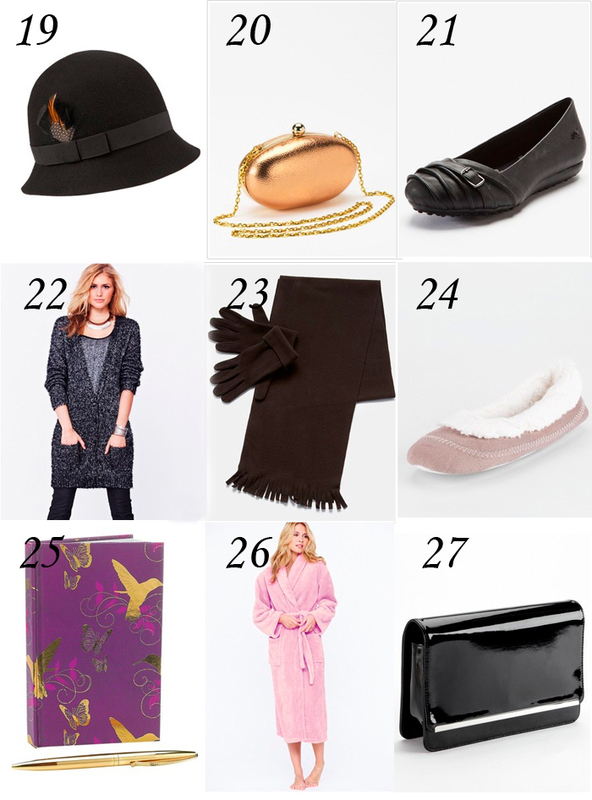 oooh these are really some great gift ideas....for myself hihi love especially that felt cloche hat! I'm your follower on GFC (509). aw, it's very helpful post, thank you for sharing :)! Thanx for great ideas !! Happy thanksgiving to you and your family! Loved all of it! wish we had christmas in israel! I like number 27 ! Hi dear, really cool ideas! I love the Sunkissed Bronzing Gift Set and the necklace on the last picture! Lovely post! So great and interesting ideas. These pieces are really nice. Love your selection. I just love these ideas!!! I am inspired!! I LOVEEE ITTT!!! SO CUTE! !